Several years ago, we decided we needed to go west. Our children had gone to Utah and Idaho for school and had stayed and all of our relatives were in the West. It was time to move our home and business from North Carolina to the West. But where? We had no particular roots in any community. Where to start? We began by making a wish list of what we wanted. This was the beginning of the Thoughtful House. Hopefully, this list will help you determine the best place to locate if you are considering moving. A rural small town atmosphere close to nature, but also close to an urban hub with an airport, good Internet connection, good health services and stores close by to reduce our carbon footprint. A community with a low crime rate. A good property tax structure. A well managed local government. Building codes that are stringent enough to protect the quality of life but will allow us to build. We would enjoy the community and thrive in it. 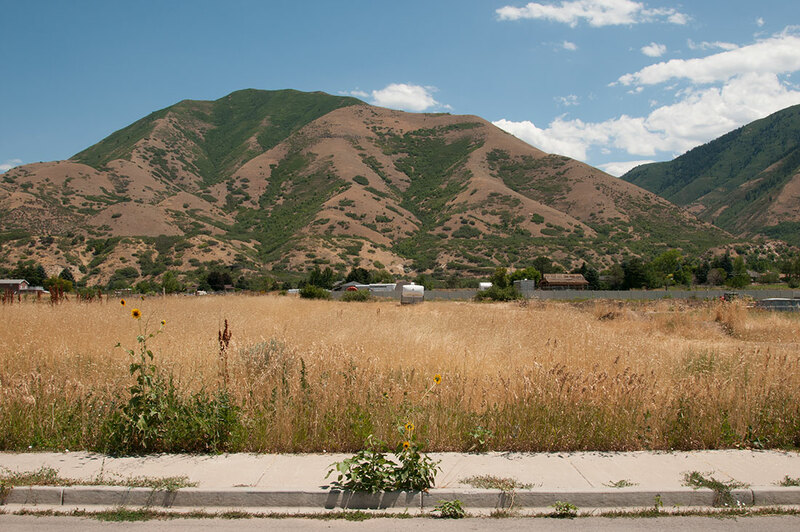 Here are scenes of the community we finally picked out - Mapleton, Utah. A north facing front for the main entrance so that we can have the patio with windows to the south and east in passive solar orientation. No existing or potential future intrusions into our solar exposure from structures, terrain or mature vegetation. Beautiful views especially on the south and east where the house's windows are or an ability to create a well-planned landscape that can give us beautiful views out the windows, including a reasonablly private backyard. Consider how predominant wind patterns can be directed within the home for cooling or diverted away for protection from the cold. Situate the structure so we can take advantage of vegetation for wind or solar barriers from the cold and maximize solar benefits. Soil/ground stability and good drainage patterns away from the house and toward the road or a yard. If possible, a relatively flat lot to cut construction costs, but with a gentle slope so that runoff can assist in watering the landscaping. A site history that does not include polluted water, soil or air, wetlands or a history of flooding. No high transmission power lines or substations aboveground. Not vulnerable to mudslides or in a high radon area. Near a nature trail or place where we can walk and bike. The site accommodates the home we want rather than cutting into a slope to accommodate the house. The lot is already developed, with roads, sewer, electricity, water, curb and gutter added. CC&Rs that we can live with. Zoned for single family residence so we didn't have to try to get the lot rezoned. A site large enough to build the house we wanted to build, including a garage, driveways and landscaping. Easements and setbacks that will allow the house to be built. A lot that is private with other lots not looking down it. A neighborhood style that is compatible with the house we want to build. Reasonable level of traffic in the neighorhood. Reasonable impact fees required by the local government, property taxes, utility rates, home owner's insurance rates and a reasonable cost for the land. Good soil for building, with not too many rocks. Not close to an airport flight path, railroad track or highway. Local laws that allow for drought-resistant landscaping and an energy efficient home. Taking this list with us, we traveled on a vacation around the west – up the California coast, to Colorado and New Mexico. In California, we were quickly discouraged by the prices and end-to-end strip malls. New Mexico was beautiful, but we were moving from North Carolina partly because we were tired of the summer heat. Colorado was beautiful but most of the areas we liked were a long way from relatives and amenities on our list. After a month, a relative suggested that we check out Mapleton, Utah. We visited it and instantly knew we had found our place. Mapleton is a small rural suburb near the burgeoning urban strip along the Wasatch Front in central Utah. 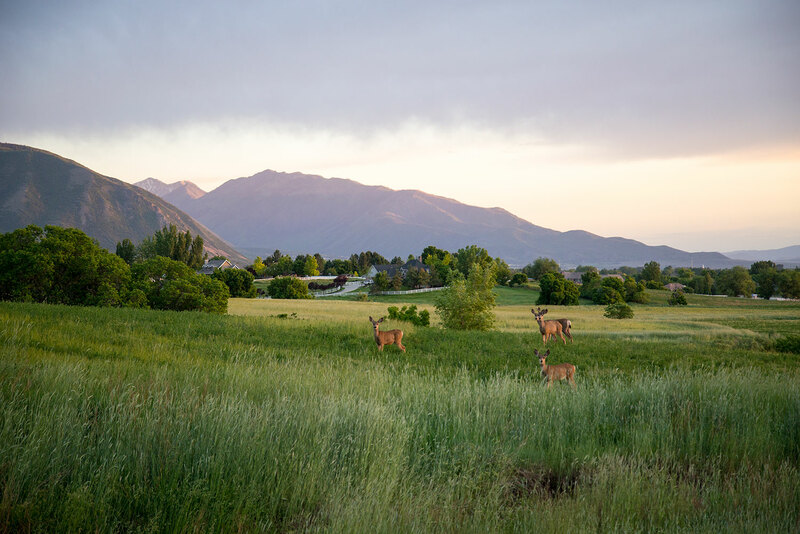 Because the community wants to retain its rural nature, it requires larger lot sizes in many neighborhoods. 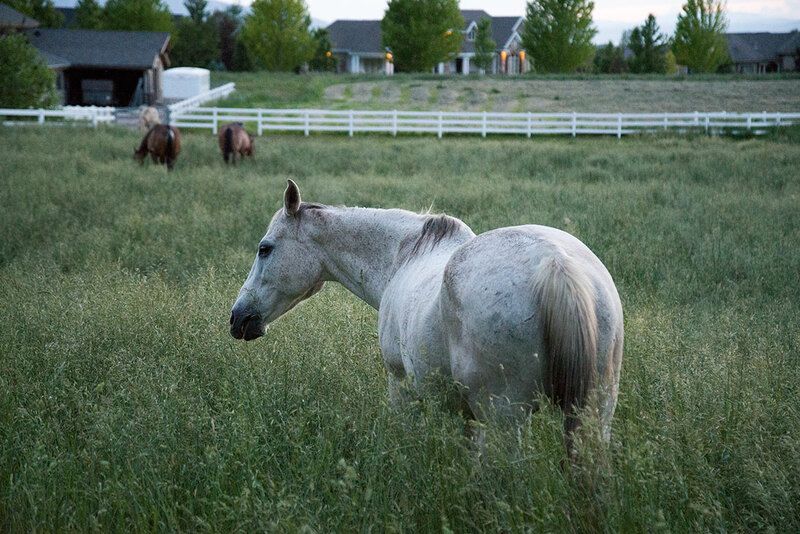 Mapleton has horse pastures, beautiful homes and a stunning view from almost everywhere in the community of the Sierra Bonita mountains. It has a mild, beautiful climate most of the year with two or three months of cold, snowy weather most years. 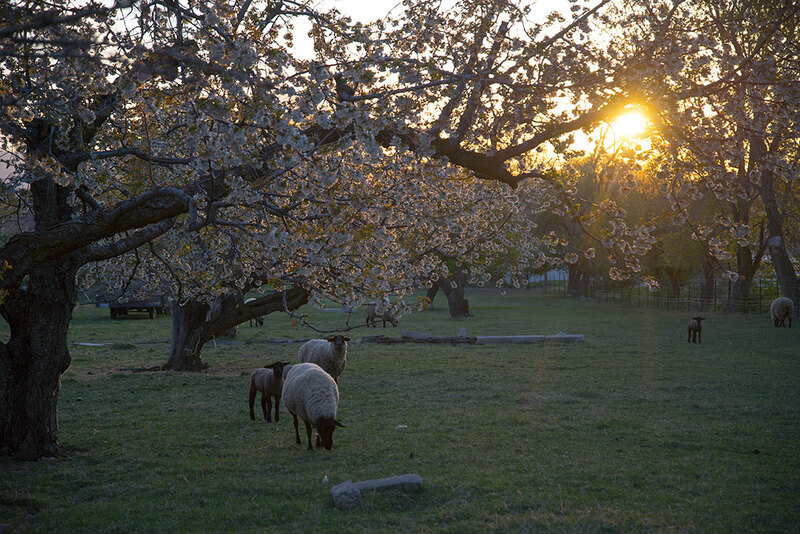 Almost anything grows in the large gardens and orchards in backyards. This is the building lot we purchased. The Sierra Bonita Mountains are in the background. Altogether, took us four years to locate a piece of property there that met all of our criteria above, hire an architect to make plans and get through the city permit process and bank processes.